Pros: I did not have the money to buy a new computer, software, and hardware. Buying Windows 7 was my only affordable option. Even though my scanner, printer, and other hardware were old; Windows 7 32-bit still allowed me to use everything. On the Microsoft website, it indicated my old scanner would not work on Windows 7, but that was not true and it works fine. For software that never had newer releases or that was too expensive to purchase updated versions of, I was able to get all of my old versions of the software to work in Windows 7. When I was using Windows XP, I was using Microsoft Office 2003, but support for that was also ending. I ended up using a free, open source software suite on my fresh Windows 7 installation. I am also using the same free antivirus software brand I had used before. It took me a few days to transfer everything I wanted off of the hard drive, wipe the hard drive clean, install Windows 7 with updates, install/setup hardware, and install/download/setup the software. It took me quite a while to figure out how to configure the look of everything, but I now have my Windows 7 setup look nearly identical to the way my Window XP setup did. Boot-up and shutdown times are quicker for me on Windows 7 than on Windows XP. Cons: There were features on Windows 7 that I did not like. One that comes to mind was Indexing, but I was able to disable that. I also do not like how integrated the Homegroup (file and printer sharing) is for Windows 7 and would have preferred it to be something to be installed optionally. Files are organized differently in Windows 7 than in Windows XP, so it may take you a while to find out where everything is. I do not like that desktop.ini files are shown on the desktop when you uncheck the Hide System Files option. This was not a problem on Windows XP. I understand there are hardware limitations and memory allocations used for hardware, but just like in Windows XP I was still unable to get more than 3GB of RAM utilized in Windows 7 32-bit. The 64-bit version of Windows 7 would support more than 3GB of RAM, but unfortunately my hardware would not support the 64-bit version of Windows 7. Microsoft went overboard with leaving privacy data all stored all over the place in Windows 7. 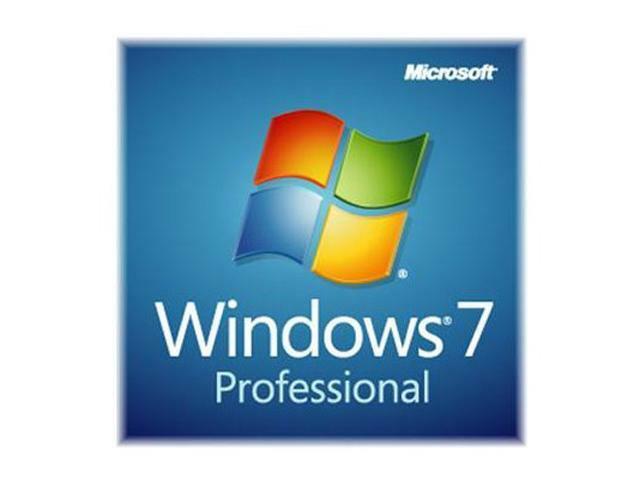 One of the most popular, free, cleaning applications out there did not clear out all of the privacy data from Windows 7, but I was able to find other free software that does a great job of removing unwanted usage data. While Windows 7 has a built-in firewall, you really cannot tell what is going on with activity across the Internet. I was not able to find good firewall software like I had when using Windows XP. I like the ability of being able to monitor all inbound and outbound connections, but I am missing that on Windows 7. I had a few crashes while setting up Windows 7. I can repeatedly get the Windows Experience Index to crash because of my video drivers even though they are the latest version. The video drivers seem to work fine for applications, gaming, and everything else; so I just skip running the Windows Experience Index. While it was worthwhile for me to switch from Windows XP to Windows 7, the cost for the software seemed to be on the high end. I know switching to Windows 8 was not an option for me because my hardware and software would not work in Windows 8. Cons: This is an OEM version, the product needs to activated, but if you don't have an OEM license you can't activate it. Pros: This is the modern day XP (in my opinion). Win7 seems like a durable operating system that will last until it's dying day, like XP has done. Since XP is going to finally stop getting updates in a few months here, upgrading all of the work machines to Win7. Cons: Price, but eh, still better than 8 bang-for-buck, in my opinion. Pros: NONE ZERO ZIP BASICALLY USELESS FOR THE CONSUMER! Cons: Attention everyday computer users. This is NOT a full windows 7 professional OS. This is some crazy useless thing only sold to "manufactures" Buyer beware YOU CAN NOT ACTIVATE THIS. Do not buy this thinking you can use it for your home or office computer. DO NOT BUY unless you know how to use a Microsoft OEM License. USELESS! The best part is once you open it and try to install it. ITS YOURS FOREVER! NOT RETURNABLE after you open it! Newegg just lost a customer forever! Pros: It's Win7, so... Bought it to experiment with getting some old applications to run on Win7, as several customers are being forced by IT to unplug machines/PC's running older OS's. Made it work. Pros: Great, stable, globally compatible, beautiful operating system. will not be moving from this for a while. Cons: becareful with the 11 update, had to retreat back to 10.